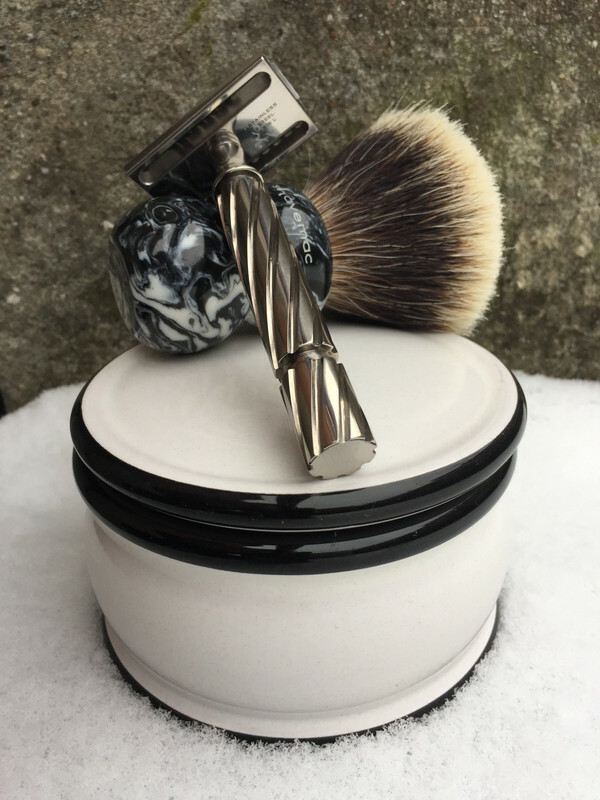 The first shave on a new blade often is slightly rough for me, despite hand stropping, but this one was quite smooth from the git-go, giving me a typical BBS shave. Today is national Spouse's Day. Sometimes seen as a warmup to Valentine's Day, it is an opportunity to let your spouse know how much you appreciate them. And I certainly appreciate mine. She has made the last 11 years the best of my life. 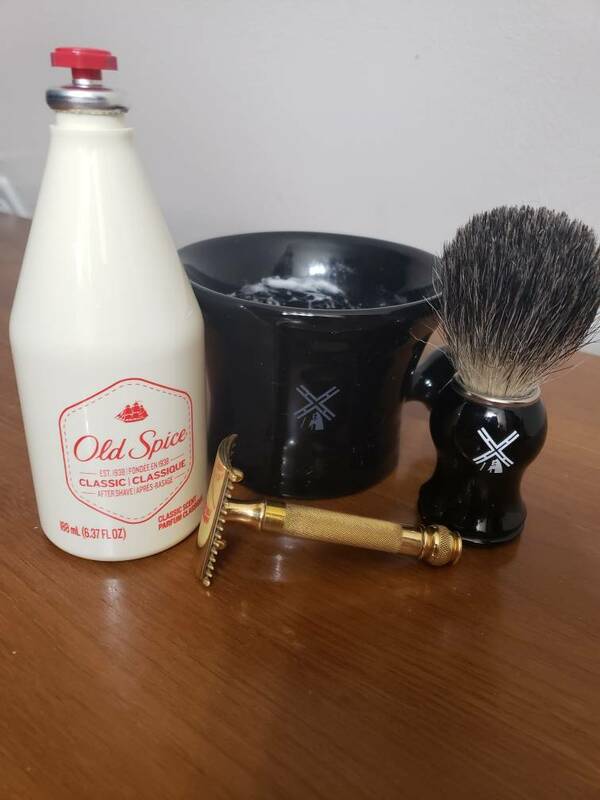 Simpson Chubby 2 manchurian badger; Barrister and Mann Cologne Russe; Paradigm SE; Shick Proline #4; Barrister and Mann Cologne Russe AS. 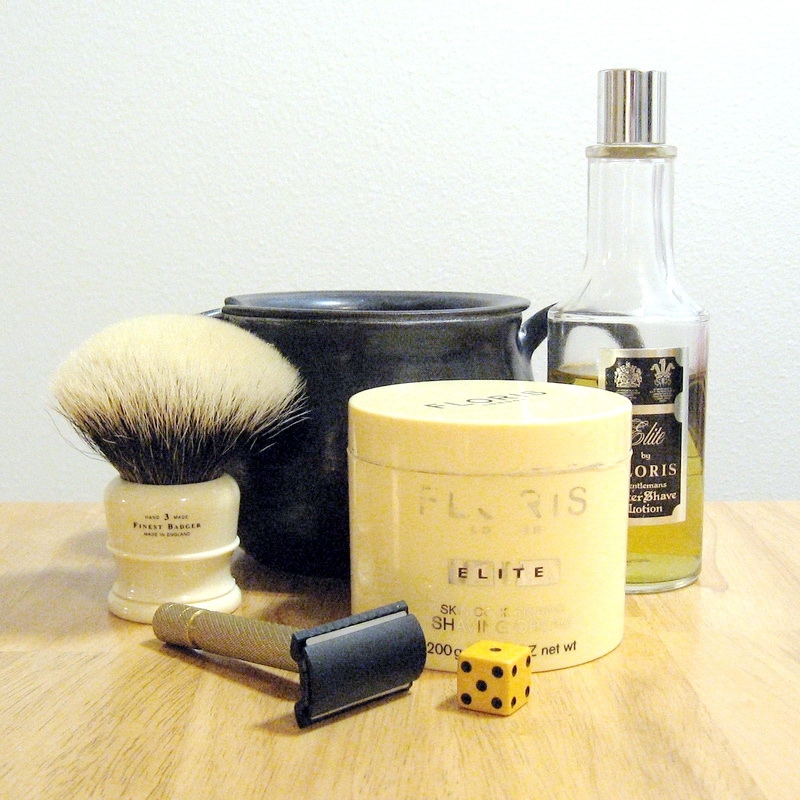 Musgo Real pre-shave oil; Noble Otter Soap Co. 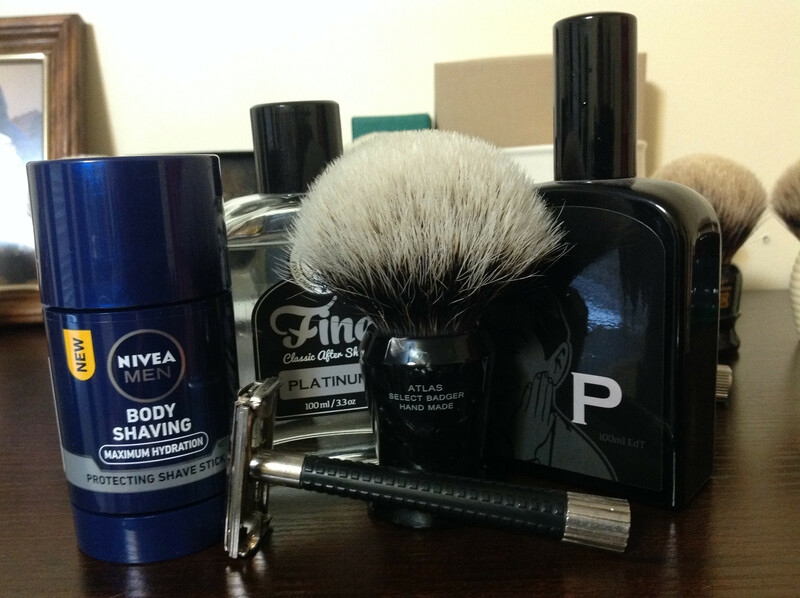 Flying Hide, shaving soap; Depot (The Male Tools), Syntetic shaving brush; Filarmonica especial para barbas duras; Valentino Uomo, aftershave & EdT.